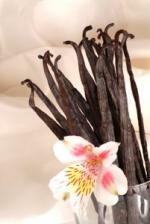 Are you looking for affordable vanilla beans? If you're looking for affordable vanilla beans, look no further than the Internet. While these little culinary treasures can fetch a pretty penny in most retail outlets, the Internet has countless places where you can buy vanilla beans for as low as $40 a pound - and a pound of vanilla bean is a lot of vanilla! Amadeus Vanilla Beans sells a wide variety of beans, including Indian, Indonesian New Guinean, and more. Boston Vanilla Beans has a great selection of beans at low prices, and also offers recipes, facts, and brief history lessons. This company recently had their products featured on Alton Brown's Food Network show, Good Eats. Vanilla beans don't have to be expensive. Bourbon vanilla beans are long, rich, and oily. They contain many tiny vanilla seeds and can come from places such as Madagascar and Comoros. Mexican vanilla beans are a lot like bourbon beans, only they have a smoother, spicier quality. Tahitian vanilla beans are shorter, squatter beans that don't contain as many seeds as bourbon or Mexican beans. They tend to smell fruity, like licorice or cherry. Organic vanilla beans are grown without the use of chemical pesticides and fungicides, though certification criteria vary from country to country. Fair trade vanilla beans are grown in a plantation where farmers are paid a fair, living wage. 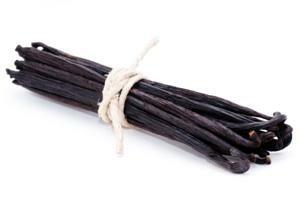 If you buy vanilla beans in bulk, you'll need to store then in such a way that they'll last a long time. Vanilla beans have a lot of oil in them, and therefore can go bad very quickly if kept in an environment that it too warm and/or too bright. When kept in a cool, dark place, vanilla beans will keep for a very long time - almost indefinitely if they're in an airtight container. Don't refrigerate them, as this can cause them to dry out. If you find that your beans are covered in tiny crystals, this is not a bad thing. The French call this givré, which means "light frost," and these crystals are a sign that your beans are very high in vanillin. This fine powder is very flavorful and can be used in desserts. If you do end up with shriveled beans, don't toss them! Vanilla beans are expensive enough that you'll want to put every ounce to good use. Dried beans may not be as potent, but if you're using them for something that doesn't require a mega-vanilla punch, they're still very useful. Consider soaking them in a little warm water before cutting them open - rehydrated beans will give up their seeds much easier than if they're dried out. You can also grind them up and use them for recipes that require an entire ground bean.